Toggle Bracing is one of the original designs to add damping and energy dissipation to a braced structure. The damper is placed in the corner or the frame so that when the diagonal bracing elements shorten or elongate the movement forces the damper to activate. Damptech's damper is especially well suited for toggle bracing, since it has significant out-of-plane stiffness as compared to viscous dampers. This out of plane stiffness prevents movement perpendicular to the wall. Installation is straightforward. Damptech has used this design for retrofit of schools, since the strengthening can be achieved very cost effectively. 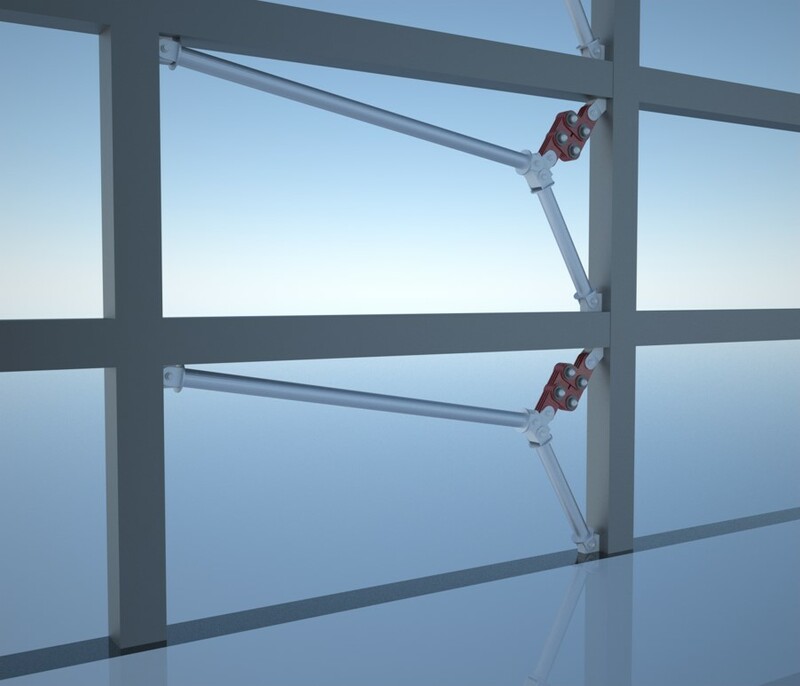 The toggle bracing can either be installed directly into the existing frame (steel or concrete), or can be added externally to the building envelope.